TOP MDC politician, Tendai Biti was on Monday issued with a warrant of arrest after he was nowhere to be found for trial continuation in a case in which he is being accused of violating the country's electoral laws. Biti, who is a lawyer, had turned up early but later abandoned proceedings to rush to the Supreme Court where he was set to represent some of his clients after the Harare magistrate's court had delayed the commencement of his own trial. The state then successfully applied for his arrest warrant saying his default was wilful. Biti's lawyer, Beatrice Mtetwa later argued that the MDC deputy national chair was not in wilful default as alleged and asked for the case to be briefly adjourned. "It's not in the interest of justice for the accused who has rights to continue practicing (as a lawyer), being issued with a warrant of arrest. "He was here but state representatives were not here," said Mtetwa. Biti however later returned and had his warrant of arrest cancelled. He is being accused of contravening sections of the Electoral Act after he purportedly announced that MDC leader Nelson Chamisa had won last July's presidential election. The alleged incident happened when the Zimbabwe Electoral Commission, which is the sole authority mandated to discharge the responsibility, was yet to announce the official outcome. The Harare East legislator later tried to escape to Zambia to seek asylum during a subsequent state crackdown on opposition activists but was intercepted by authorities at the Chirundu Border Post, prosecutors say. 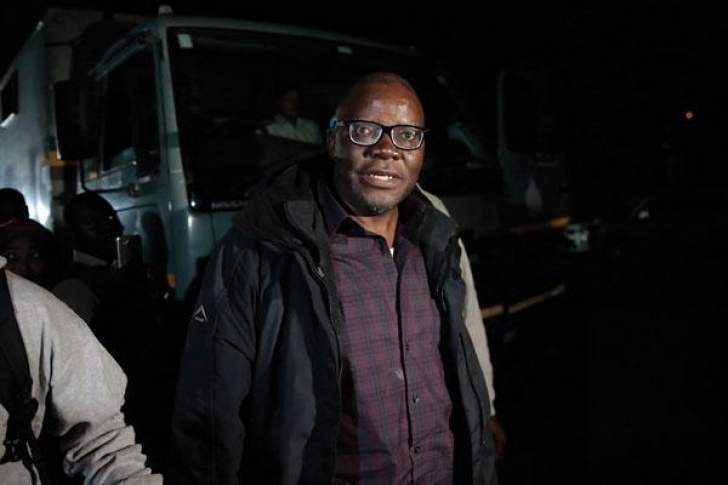 When he was brought to court last year, Biti challenged the jurisdiction of the local courts to hear his case saying he was in fact "abducted" by Zimbabwean state agents from the hands of Zambian authorities during his foiled bid to skip the country to safety. His challenge was trashed by the courts which ruled that his arrest was in accordance with Zimbabwean laws. Biti also said there was unnecessary splitting of his charges since they constituted the same crime. He also applied for exception saying the charge he was facing did not constitute a crime. A ruling on his several applications was set to be heard later on Monday.